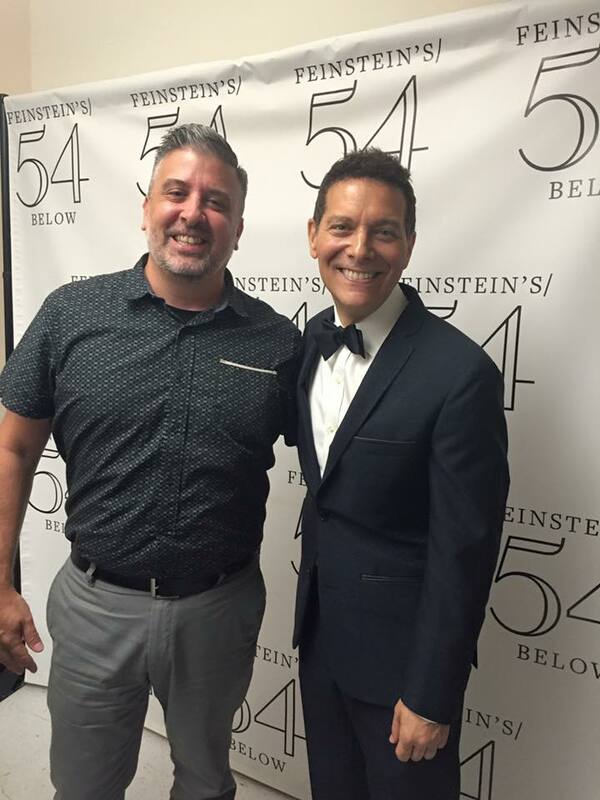 Another great influence of mine has been singer and pianist Michael Feinstein. I was first introduced to his music around the same time as Tuck and Patti although they are very different in their interpretations. Feinstein's interpretations of the American Songbook seemed to be nostalgic and current at the same time. Each new cassette introduced me to some great new songs to learn. I remember I would would run over to Carl Fischer on Wabash Ave and buy the sheet music as soon as I could (yes there was a store that actually sold sheet music). It was amazing how many tunes he inspired me to learn as I was coming up! A recent highlight in my career was a couple of years ago when I had the opportunity to sing at his club in NYC! I performed at Feinstein’s at the Loews Regency and then at Feinstein’s 54 Below. It was even more special when I got a chance to meet him in person and tell him how much he had influenced me. Here are a few pictures of my shows at his clubs. It’s mind boggling to think that I have come full circle and had the opportunity to meet both of my greatest influences--Michael Feinstein and Tuck and Patti. I can't believe that the recording project that I am doing with Tuck Patti starts in one week! Things are moving fast and I love every minute of it!